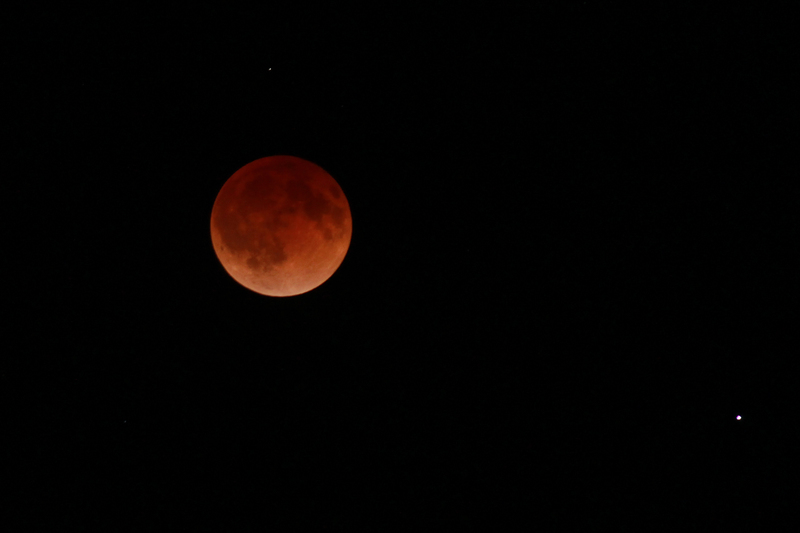 Lunar eclipse, April 15, 2014, from Ogden, UT at 1:45am local time, with Spica in the lower right. Taken with my Canon T3i DSLR, ISO-800, 1/2 sec. exposure, f/5.6 with a standard 250mm lens.